LED 12 volt flood light fixture rated at 12 watts and 5000K with a ground mount stake for many types of general ground lighting needs. This can work well for garden landscape lighting and you can use it in existing 12 volt transformers. 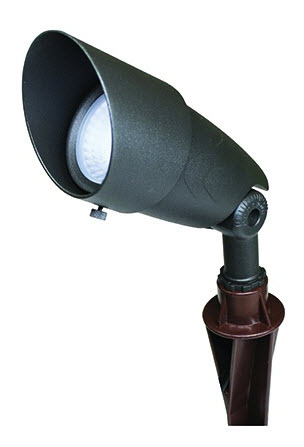 Ideal for general site lighting, landscape, sign lighting, flag poles and pathways.